Twenty (20) agricultural service providers trained in advanced soil health principles and practical methods for using crop rotations, cover crops, reduced tillage, nutrient management and other practices on diverse farms across New York will teach 400 farmers operating 80,000 acres about soil health techniques and how to successfully integrate them into their production systems. Fifty (50) farmers informed by our beneficiaries will conduct a soil health assessment, develop a soil health plan, or implement a soil health practice such as cover cropping, reducing tillage, crop rotation, and/or nutrient management trial or demonstration. On-farm and university research highlight that healthy, fully-functioning soils offer substantial benefits to farmers as they are resilient to weather extremes, maximize water and nutrient storage, and increase profitability through decreased input costs and increased yields. Healthy, fully-functioning soils also help protect water quality; reduce runoff contributing to soil erosion, water degradation, and contributing to flood events; and sequester carbon. However, despite the benefits, NY farmers struggle with integrating crop rotations, cover crops, reduced tillage or no-till, nutrient management including the use of compost, and other soil health practices into their management systems. This is particularly true for dairy farmers, with limited time availability for crop management, and vegetable farmers looking to maximize production. 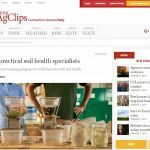 To motivate farmers to implement practices, they need an advanced understanding of the benefits of soil health, soil health management, soil biology and the economic implications for adoption. 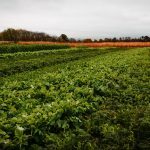 A 2016-17 Report of the National Cover Crop Survey highlighted enthusiasm for cover crops remains high and the acreage continues to increase. 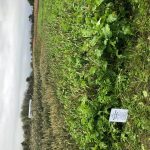 “Non-users of cover crops report high interest and expressed concerns that could largely be addressed with more information on cover crop species and practices.” “It is likely that many non-users could be convinced to try cover cropping, particularly as commodity prices recover and more education and training is provided.” (CTIC, 2017 Report of the 2016-17 National Cover Crop Survey). A 2014 cover crop survey of NY farmers (Ketterings et al., 2015) supports this finding by concluding that more technical experts are needed to assist farmers with understanding the benefits of healthy soil, soil health assessments and implementation of practices addressing soil constraints, and perceived barriers particularly those related to economics. This program offers a 3-year training curriculum for 20 agricultural service professionals across New York State. The goal is to establish a network of Practical Soil Health professionals to support and educate farmers to improve soil health on their land. 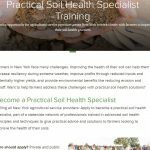 The training is a series of five two-day workshops with associated field days focused on developing technical knowledge in soil health principles and practical aspects of soil health management. Trainees are learning from University researchers, Extension Educators, conservationists, and agronomists at a series of in-depth workshops on soil health principles, assessment, measurement, management systems, farm/farmer specific adaptation of practices, and outreach and delivery techniques. Trainees are also learning from farmers at field days across the state, as well as gaining knowledge on applying soil health practices in diverse soil conditions and farming operations. Twenty (20) agricultural service providers are being trained in advanced soil health principles and practical methods for using crop rotations, cover crops, reduced tillage, nutrient management and other practices on diverse farms across New York State. A separate curriculum is developed for each workshop, which is planned with the guidance of a steering committee that includes participants from Universities, Conservation Agencies, Agribusiness and other Ag Service Providers. 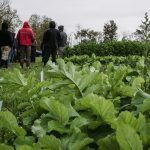 The workshops are delivered through a two-day draining that includes classroom and in-field visits to working farms. The trainees are charged with conducting their own outreach activities to inform farmers about soil health techniques and how to successfully integrate them into their production systems. From the trainees we expect a total of 400 farmers operating 80,000 acres to be reached through field days and fifty (50) farmers to take the next steps of conducting a soil health assessment, developing a soil health plan, or implementing a soil health practice such as cover cropping, reducing tillage, crop rotation, and/or nutrient management. 2. 30 agricultural service providers from organizations such as New York Agri-Business Association, NE Region CCA, Cornell Cooperative Extension, NY Soil & Water Conservation Districts, AEM Planner List-serve, NOFA-NY and others respond to recruitment materials that clearly state performance target and outline our expectations for our beneficiaries. The service providers complete the application process which will include a pre-training skills assessment and a requirement to identify interested farmers they currently advise who they can further assist on soil health issues if selected for training program. In June 2018 a recruitment announcement for program applications was sent out to agricultural service providers through the List-servs of organizations such as New York Agri-Business Association, NE Region CCA, Cornell Cooperative Extension, NY Soil & Water Conservation Districts, AEM Planners, NOFA-NY and others (see attached announcement – “02-Soil-Health-Specialist-Flyer-060618-final”). The flyer included a link to where individuals could apply to the professional opportunity (https://www.farmland.org/nysoilspecialist). See upload . Both the flyer and the website recruitment materials clearly stated performance targets and expectations for our beneficiaries. Thirty-nine service providers from Agri-business, farmers, cooperative extension, soil and water conservation districts, and non-profits completed the application process which closed July 20, 2018. We exceeded our goal of attracting at least 30 applicants. There were 21 applications from the private sector and 19 from the public with an impressive geographic distribution among the applicants. The application included a pre-training skills assessment and questions to identify interested farmers they currently advise who they can further assist on soil health issues if selected for training program. 3. Twenty applicants will be accepted into the training program. Their acceptance notification will repeat our performance target and beneficiary requirements and expectations. Beneficiaries will develop their own training plans on a template provided, integrating the orientation workshop and at least 3 of the 4 workshops and field days into their training plan. Contact information will be provided for assistance in developing training plans. Notices for those not accepted into the program were also sent out at that time. As previously mentioned, a survey of training needs was sent out with the initial acceptance announcement and a template was handed out with time to complete it at the second workshop. However, we have found that it is difficult to get the beneficiaries to respond with much interest in the training plans. A lesson learned from this project so far is that participants prefer to develop learning plans during time allocated at the workshop and not on their own, so time should be allocated in the agenda. Sufficient time will be allocated in Workshop 3 to further work on learning plans. 4. Twenty (20) enrolled participants will attend Orientation Workshop #1: Program Orientation and Basic Soil Health Assessment- Orientation to include: project Performance Target, Milestones, Verification, and beneficiary training plans and expectations. 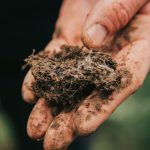 Basic Soil Health Assessment to include principles of soil health, soil biology, soil physics, soil health assessment and measurement, and how to use soil health tests to guide recommendations. This first day focused on the principles of soil health, and a detailed discussion of soil biology. We hosted an orientation social hour in the evening of Day One for beneficiaries to build relationships and strengthen networks as part of their professional development. Day Two focused on soil ecology, soil health indicators, assessment techniques and soil health management planning. 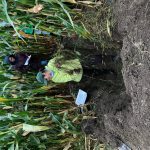 The afternoon of Day Two was held on-farm and focused on identifying soil health indicators in the field, using soil pits as a teaching and demonstration tool, and learning about soil health systems on the host farm. The workshop was held in conjunction with the New York State Conservation Districts Employees Association’s annual Conservation Skills Workshop. Our program was included in their schedule and registration was open to NYSCDEA registration system. An additional 22 people from NRCS and Soil and Water Conservation Districts attended the training. 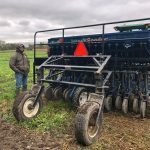 •	Workshop #2 and Field Day, November 2018: Cropping Systems and Cover Crops- covering crop rotation and the benefits of cover crops; cover crop characteristics and seed mixtures; adapting cover crop management for differing purposes, soils, and types of farms; planting dates and methods; and termination. The field day will cover similar topics at a farm or USDA Big Flats Plant Material Center with farmer and farm advisor participants giving our students the chance to hear questions and experiences from farmers and observe the workshop presentations and demonstrations. 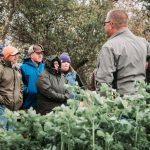 •	Workshop #3 and Field Day, February 2019: Adaptive Nutrient Management for Soil Health- covering nutrient cycling, how soil biology impacts nutrient management, cover crop scavenging of nutrients, sampling and fertilizer recommendations. A field day for farmers and their advisors covering similar topics will give our students the chance to hear questions and experiences from farmers and observe the workshop presentations and demonstrations. •	Workshop #4 and Field Day, August 2019: Eliminating, Reducing, and Modifying Tillage for Soil Health- covering the benefits of reducing tillage; no-till, planting green, and alternative tillage methods will be discussed with considerations for differing soil types and management schemes. The field day with farmers will focus on tillage and planting equipment potentially in conjunction with Empire Farm Day’s soil health programing and demo plots. 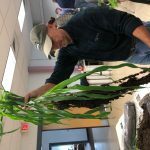 •	Workshop #5 and Field Day, November 2019: Covering customizing soil health systems to the farm and farmer, the economics of soil health, and communication skills. An “indoor” field day on honing communication skills, utilizing social media, and helping farmers build their "emotional bank account” will be held for farmers, their advisors and students. Forty (40) farmers and 100 additional farm advisors will attend the 4 field days associated with workshops. They will gain valuable information and provide real world situations for our students to observe, interact with, and gain experience. The 20 beneficiaries (and the additional service provider and farmer participants) will complete post- workshop and field day surveys/evaluations. Workshop Two was conducted October 23 and 24, 2018 in Ithaca, NY. 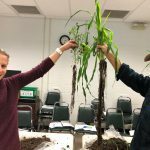 As with the first workshop, the curriculum was led by Cornell’s Soil Health Team but focused on cover crops and adapting cover crop management to different soil types and farm operations. Day One presentations included cover crop characteristics, planting dates and addressing soil specific health constraints through using selected cover crop species or mixtures. 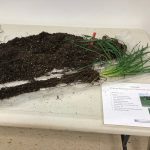 One highlight of the training was the hands-on cover crop demonstration where 20 varieties of cover crops were planted in plastic tubes and grown in a greenhouse for five weeks prior to the workshop. 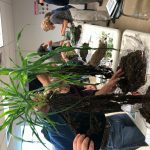 The cover crops were brought to the workshop and pulled out of the tubes so that participants could see the bare root systems of each of the plants. The beneficiaries had the opportunity to pick up and examine all of them in one place. 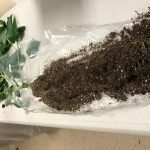 This was followed-up by a discussion of each plant, one-by-one, lead by Cornell’s Sustainable Cropping Systems Lab Assistant Professor Mathew Ryan. See attached photos. Workshop three is in the early stages of development. However, a date, location and farm has been chosen. It will be held March 6 and 7, 2019. We will be visiting Stone House Farms in Hudson, New York. Working with the Rockefeller family, Stone House Farm has dramatically changed its production methods to embrace diverse soil health practices. Stone House Grain (http://stonehousegrain.com/) offers organic and GMO-free feed to area farms and buys organic and GMO-free grains from area farmers. 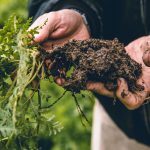 They have established a new project, Hudson Carbon (http://www.hudsoncarbon.com/), that is focused on documenting the climate impacts of adopting soil health practices, including no-till, cover crops, and pastured livestock. They are collaborating with Marine Biological Laboratory (http://www.mbl.edu/) to analyze carbon cycling from soils across 12 sites on their farms. In order to do this, they have been collecting a lot of data on their farm and a conventional, neighboring farm for the past three seasons. This workshop has not been planned out to date. Of the two workshops held, both have had field days open to the public. 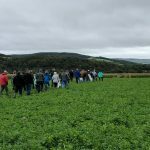 Twenty-five additional farm advisors have attended the field days and, it is estimated that 15 farmers have attended both field days to date. 6. The 20 service provider beneficiaries will develop their own “Teacher Tool Kit” by the end of year 2. The “Tool Kit” will consist of presentations, slides, hand-outs, references, demonstrations, etc. introduced during workshops and field days. Beneficiaries will be encouraged to share what tools and resources they have or discover with each other. The “Tool Kits” will be used by beneficiaries to help prepare for their own soil health educational and technical assistance activities with their clients. 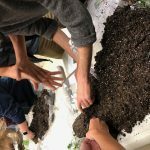 Beneficiaries will be strongly encouraged to participate with organizations such as the New York Soil Health Work Group, Western New York Soil Health Alliance or other local/regional organizations promoting soil health to expand their knowledge and resource base. We will provide contact information and meeting dates for these organizations. In addition, we will encourage beneficiaries to consider forming farmer soil health discussion groups, especially in areas without existing organizations. The Tool Kit will continue to be developed as each workshop is completed. It will be ready after the completion of the 5th workshop and participants begin planning and hosting their own workshops. 7. 20 Beneficiaries will utilize activity stipends of up to $300 each on a reimbursement basis to support and/or enhance their local soil health related educational events to include presentations, workshops, field days, tours, demonstrations and on-farm technical assistance. Stipends may be used for, but not necessarily limited to the following: speaker expenses; demonstration materials; transportation for tours; meeting room expenses; portable rest rooms; field analyses/assessments; printing costs for hand-outs/resources, agendas, etc. ; signage materials; and digging of soil pits. Beneficiaries will be required to complete a request form prior to their event outlining the activity, expected attendance, what the stipend will be used for with estimated cost. For reimbursement beneficiaries will submit a completion form itemizing expenses incurred with receipts provided, final attendance, a copy of the activity’s agenda, and photographs. We are still in the training portion of the program so beneficiaries haven’t been expected to host their own local educational events. Nothing to report at this time. 8. The 20 service provider beneficiaries will complete a quarterly progress report template to assess what they have learned, experiences gained, and updates their training needs; and to track and report on their educational and technical assistance activities including: type of event or assistance, number of farmers/service providers attending, types of farms, acres farmed, and if the farmer conducts a soil health assessment, develops a soil health plan, and/or implements a soil health practice. We are still in the training portion of the program so beneficiaries haven’t been expected to track hosting their local educational events. The report template will be dispersed in January, 2019. Nothing to report at this time. 9. The 20 service provider beneficiaries complete a program exit survey to assess the impacts of the project on their work with farmers regarding soil health. The program is still in progress. The exit survey will be handed out near the completion of the project, sometime in the fall of 2020. This project is in the early stages but the tools we are using to collect learning outcome data include the development of learning plans and exit surveys of workshop participants. Beneficiaries will also be taught the importance of exit surveys and will be instructed to hand these out at their own field days. We are currently training the Ag Service providers. We expect the beneficiaries to begin their outreach efforts in 2020. To date there has been at least 4 new working collaborations. 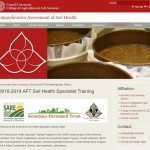 American Farmland Trust (AFT) is working very closely with the Cornell Comprehensive Assessment of Soil Health Program for the first time. In addition, AFT has been working closer with local Soil and Water Conservation Districts as each workshop has been planned and implemented. So far we have worked closely with the Cortland Soil and Water Conservation District and the Tompkins County Soil and Water Conservation District. 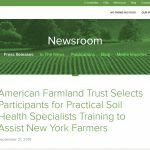 Finally, AFT has been working closely with the New York Soil Health Initiative for presentations and guidance on curriculum development. An additional outcome so far has been the professional development that is occurring outside of the learning. Beneficiaries have been required write their own biographies, in many cases for the first time. They will also be given the opportunity for getting a professional “head shot” taken for professional use, either with their biography or other future engagements. There is also a lot of networking going on that will provide synergy for soil health in the future. As the workshops unfold, we are adding evening activities which give the participants additional opportunities to interact, get to know each other better, build a sense of community, and strengthen bonds. This will help to coordinate resources and efforts in the future as folks are anticipated to get more comfortable reaching out to one another on a professional level. The first challenge was a major change of staff from Jeff Ten Eyck to Aaron Ristow. Although Aaron was already part of the project with Cornell, it left only one person for about a month to work on the curriculum development. Cornell replaced Aaron fairly quickly and the project got back up to speed by the completion of the second workshop. The lack of staff in August and September posed a challenge, especially with the first two workshops planned and executed within a month of each other. In addition to planning and coordinating the two events, there was a lot of “infrastructure” (e.g training plans, acceptance letters, beneficiary and speaker biographies, etc.) that needed to be developed. This required a lot more time from the Project Coordinator than was budgeted. With the help of the Cornell staff, the project is back on track for time budgeted again. In the grant writing phase, it was thought that planning workshops around existing events would make it easier to coordinate and execute. However, a lesson learned from the first two workshops is that is not necessarily the case. With Workshop One, there ended up being costs for registration that, in retrospect, wasn’t valuable. In Workshop Two, some effort was put in to coordinating with a long-standing field demo in November, but there ended up being personnel and logistical challenges to coordinating with that event so the Team planned our own training and field day. The most frequent feedback that we have gotten through the post-workshop surveys is that the beneficiaries have appreciated and learned the most from the hands-on training such as our participatory “Soil Health Scenarios” small groups and the Cover Crop Demonstration. In Workshop One we ended the classroom session by breaking the 40 participants into groups of five and giving them different scenarios where a farm has a particular set of soil health constraints reported in the Cornell Soil Health Report. The group discusses the potential management solutions and develops a Soil Health Management Plan (see attached40-Soil-Health-Management-Scenarios-with-Field-Exercises). Breaking into small groups creates opportunities for more people to speak. Participants can also learn from each other as they discuss and, sometimes, debate practical management solutions. The exercise ends with a spokesperson describing the problems and the solutions their group came up with. In Workshop 2, we showcased the hands-on Cover Crop Demonstration where 20 varieties of cover crops were planted in plastic tubes and grown in a greenhouse for 5 weeks prior to the workshop. 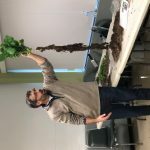 The cover crops were brought to the workshop and pulled out of the tubes so that participants could see the bare root systems of each of the plants. The beneficiaries had the opportunity to pick up and examine all of them in one place. 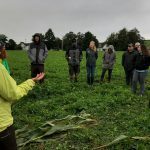 This was followed-up by a discussion of each plant, one-by-one, led by Cornell’s Sustainable Cropping Systems Lab Assistant Professor Mathew Ryan. See attached photos. Another frequent compliment on our workshops are the two field-days we held, both at operating farms. One participant commented that “being out in the field puts everything we are learning into a real-world perspective.” In Workshop One, the farmer gave us a description of his farm and the soil health practices he has implemented, challenges resulting from it, and benefits he has received. We then split the group up where half went to a field pit to learn about identifying soil health indicators in the field and using soil pits as a teaching and demonstration tool. The other half learned about how to take a Cornell Soil Health sample in the field. Workshop Two incorporated a cover crop demonstration of 35 plots of cover crops planted on three dates with different species and mixtures. A discussion of each plot was led by a German group which provided a unique perspective.